A 90-year-old man facing foreclosure on a Boynton Beach home he no longer owns is off the hook after his mortgage servicer decided to pursue another party in the case. Abraham Maisner, who owned a 3,200-square-foot home in Valencia Lakes, went into foreclosure in 2012 after failing to make payments since May 2010. Maisner sold the home in September for $405,000, more than enough to pay off the principal balance given to his attorneys by the lender. But the payoff balance was off about $42,000 and Maisner was left holding the bag once it was realized the payoff amount was just a preliminary statement, not the full payout. Even the new homeowners were named in the foreclosure lawsuit. The Palm Beach Post wrote about the predicament last week. After a hearing on Friday, mortgage servicer Rushmore Loan Management Services told The Post it will stop pursuing Maisner, now in a retirement home, for the money. “Given Mr. Maisner was not responsible for the error, the owner of the loan has decided not to pursue a recovery from him or the new homeowner, but will instead work to achieve a resolution with the professionals involved in the sale,” a statement from Rushmore said. A 90-year-old man is facing foreclosure on a Boynton Beach home he no longer owns after his lender gave him the wrong mortgage payoff amount. According to court documents, Abraham Maisner, who owned a 3,200-square-foot home in Valencia Lakes, went into foreclosure in 2012 after failing to make payments since May 2010. He had bought the home with his wife, Barbara Maisner, who died in 2011 at 76 years old. In August, a law firm representing Maisner asked for the payoff amount on the mortgage. A conditional payoff amount was given of $317,211, but it didn’t include $42,092 in interest that had been accruing for four years. Maisner sold the home for $405,000 in September to Pennsylvania residents Lynne Gold Bikin and David Smith. A warranty deed was filed in official records reflecting the sale. Maisner sent $317,211 to pay off the loan. But no satisfaction of mortgage was ever filed on Maisner’s loan and the plaintiff in the case says Maisner’s attorney should have known the payoff amount didn’t include the $42,092 in interest. The bank also says the law firm was supposed to get the payoff amount in writinimagesg, which it didn’t. “Despite not obtaining written confirmation, the law firm tendered payment in the amount of $317,211 to the plaintiff, which was not sufficient to satisfy the mortgage,” an October court filing says. According to the bank, Maisner got $53,213 from the sale of his home, and can pay off the interest. Wells Fargo Bank filed the foreclosure action in 2012, but then transferred the loan to US Bank in March. 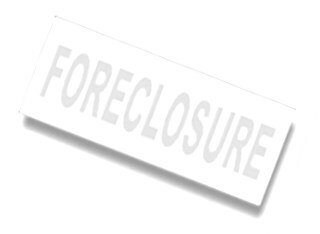 As with many foreclosures, even finding out who the true plaintiff is is no easy task. US Bank is listed as the plaintiff, but it says it is the trustee of the loan, not the servicer, and therefore can’t answer questions about the foreclosure. US Bank does not hire or direct the servicer, which is Rushmore Loan Management, according to a US Bank spokesman. Wells Fargo said Wednesday it has had no involvement with Maisner’s loan since it transferred it in March. A message left for the plaintiff’s attorney Roy Diaz, was not returned Wednesday. Maisner, now living in the retirement community of Edgewater Pointe Estates in Boca Raton, is being represented by Coral Springs-based attorney Mara Alyson pro bono. Alyson was unavailable for comment Wednesday. The attorney representing the new homeowners did not return a phone call. A hearing is being held today in Palm Beach County on a motion from the bank for summary judgment.